As promised here is post number two of a typical morning at preschool. 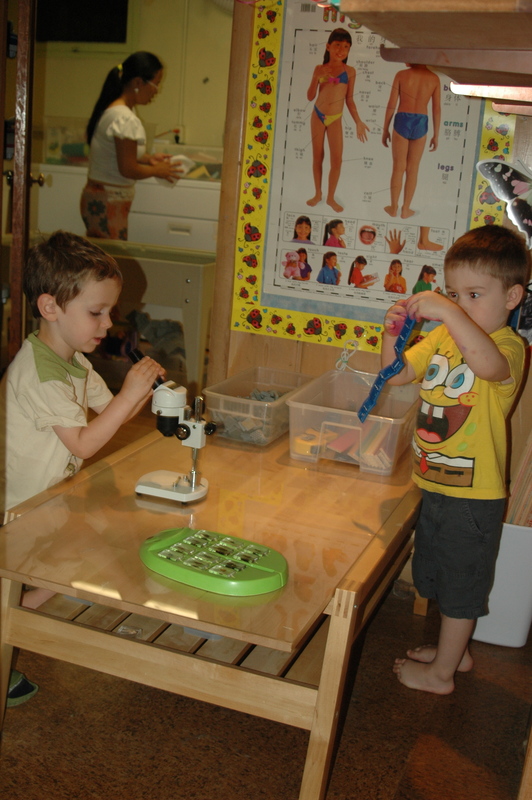 The kids chose to work at the math and science centers. Y. is sorting bears by size and color. It’s interesting to watch the different learning styles. V. has to try every activity. 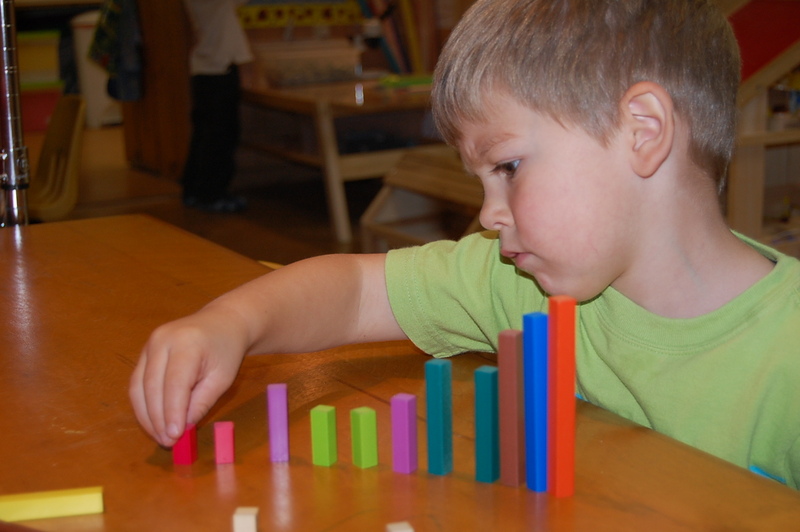 He spent much time thinking about and sorting the Cuisenaire rods by height and then moved on to the other math center activities. 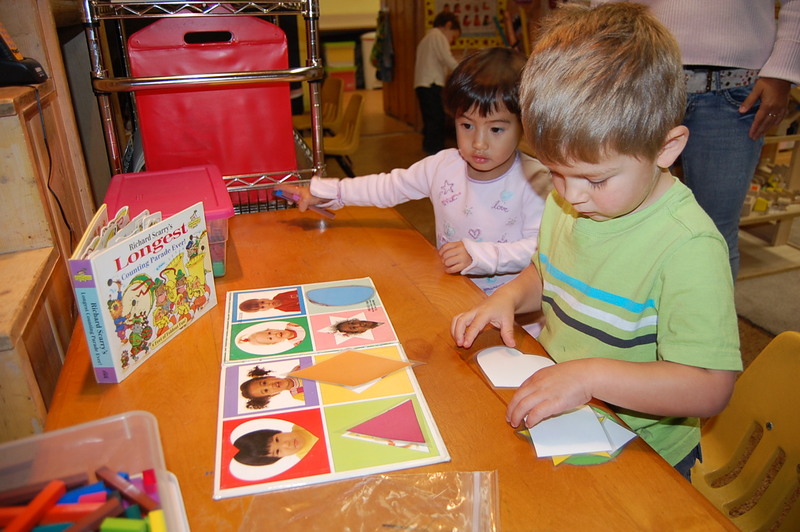 Here V. and Y. are matching the cardstock shapes with the shapes in the book. 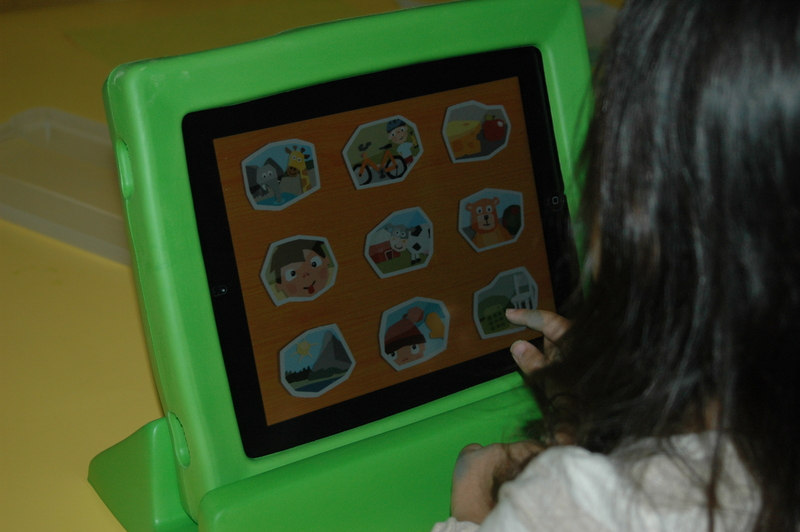 As Gloria rotates through the centers she gave the children Chinese shape vocabulary. 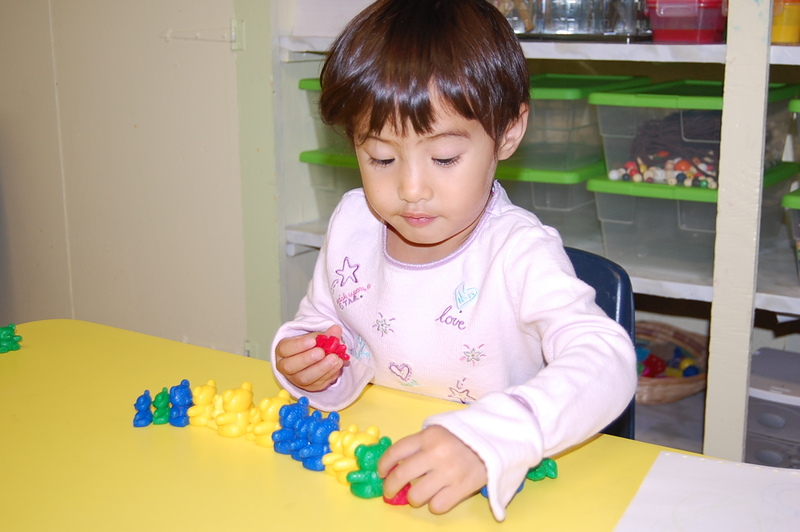 Unifix Cubes have also been in the math center for the kids to explore. 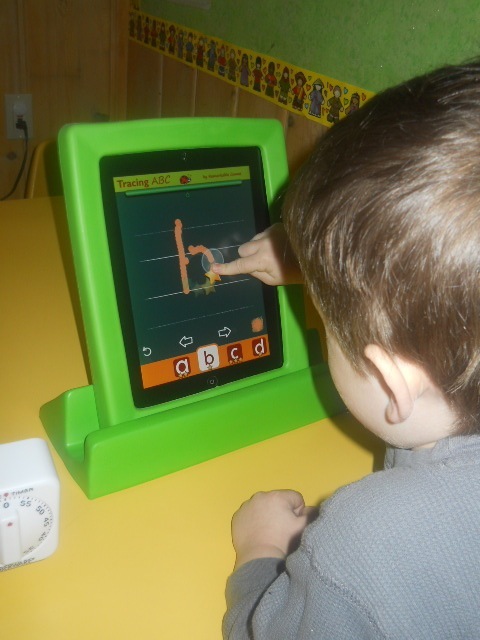 The children are given a couple weeks to play with items put in the different centers. 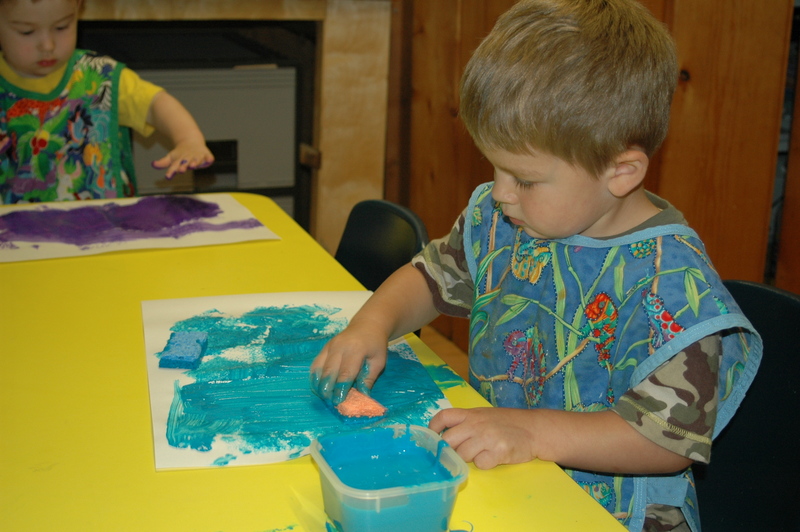 After they’ve had time to explore the materials related activities will be added that require the children to work on specific skills. 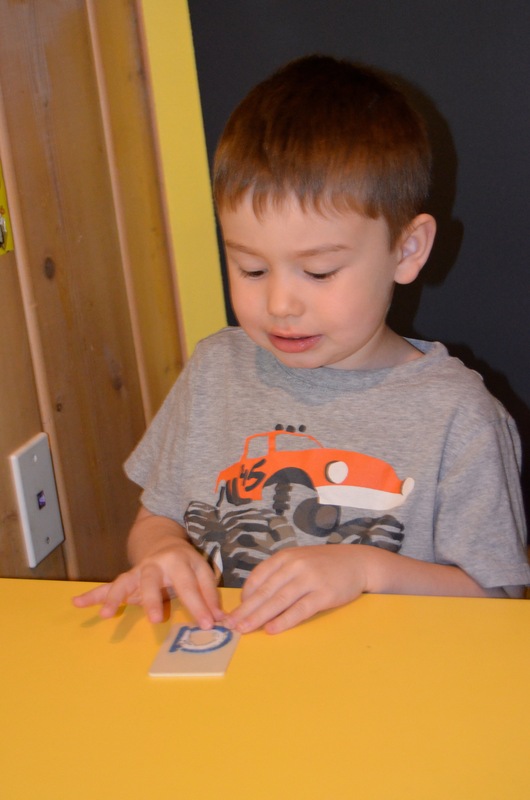 One of the skills children will develop with Unifix Cubes is color pattern recognition. 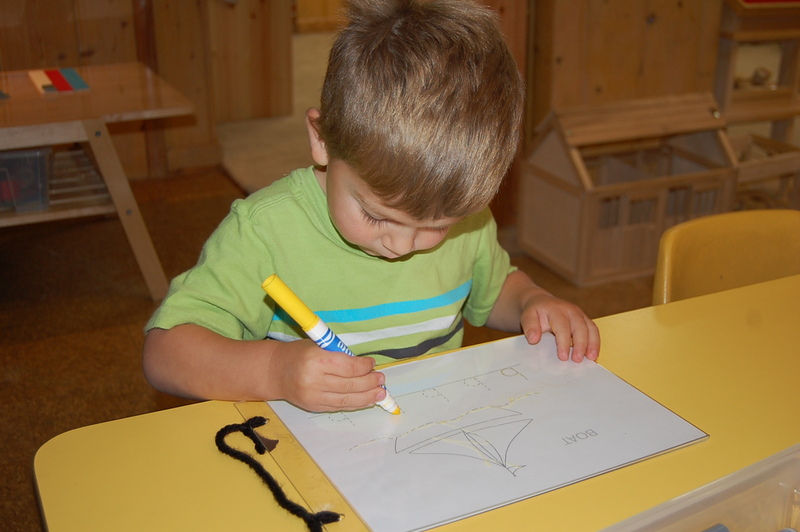 Z. is a great thinker and watches very intently everything that happens in the classroom. 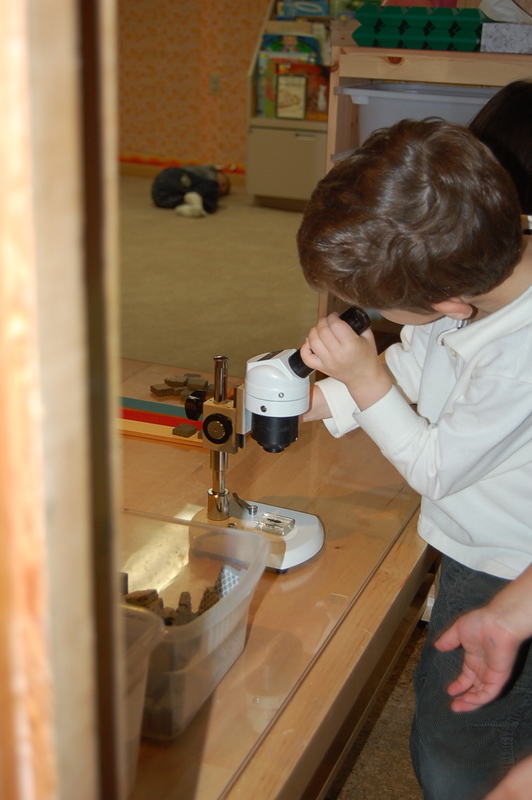 Here he is working at the science table and looking at a bug under the microscope. 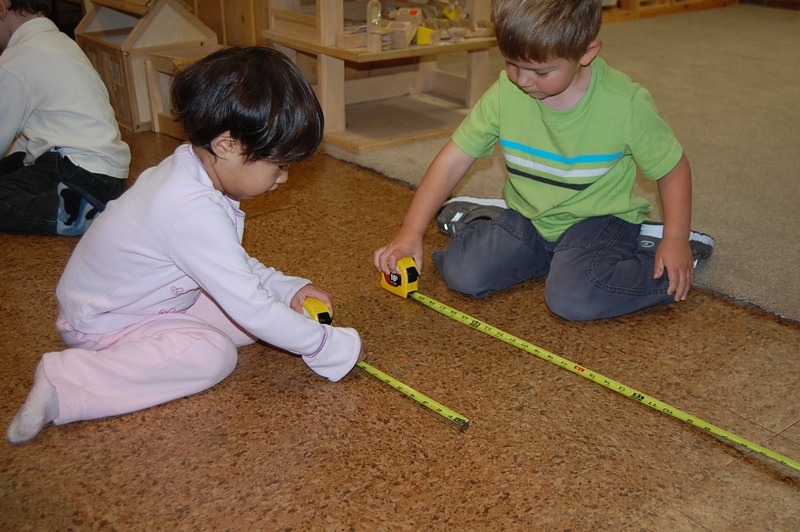 Z. and Y. continue to work with measuring tools. The teachers haven’t introduced the measuring tapes to the children yet, but they’ve been sitting in the science center since the beginning of September. I was really curious to see what the kids would do with them and was very pleased to see the results! 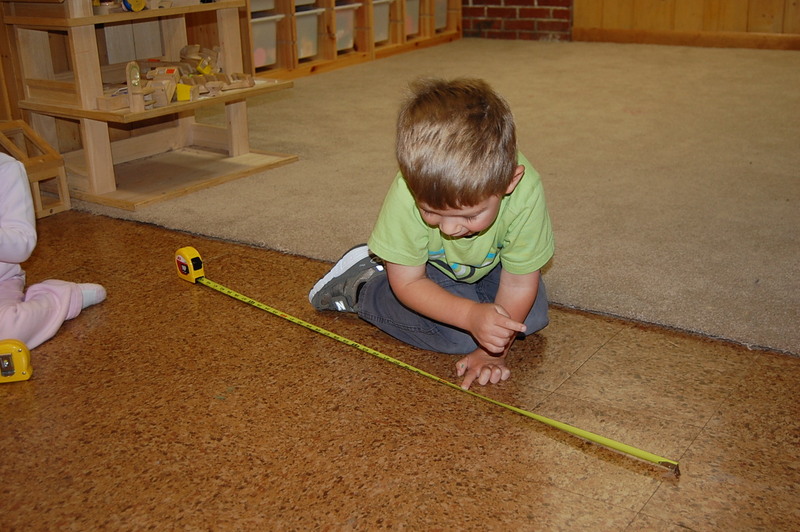 Z. has had a lot of practice using rulers and yardsticks and was able to apply that knowledge using the tape measure. Y. and V. followed Z.’s lead and began working with the tape measures. 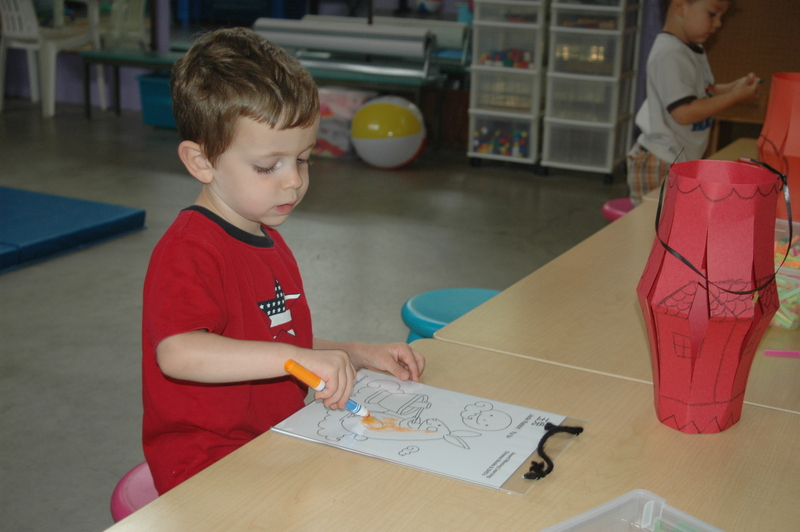 After morning preschool the children have free play, lunch, block play, story time and nap or rest. 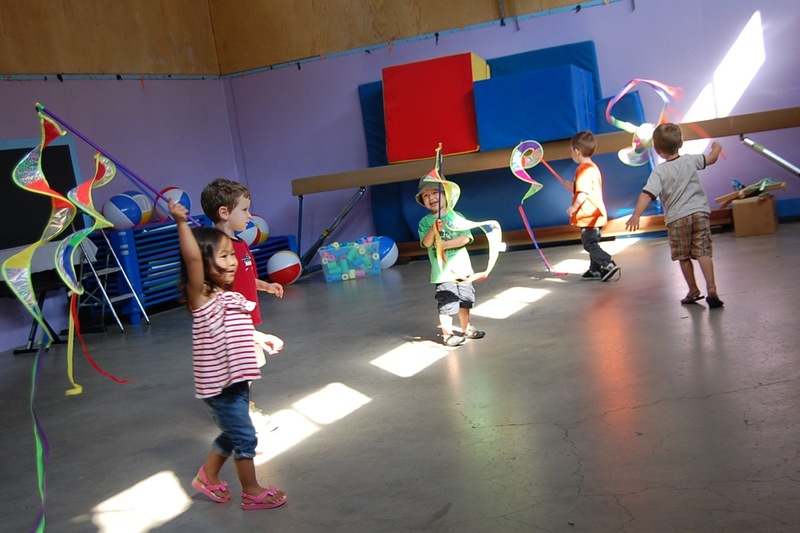 The nap is followed by free play or theme activities. All of these wonderful discoveries from the previous post and this one happened in same morning! 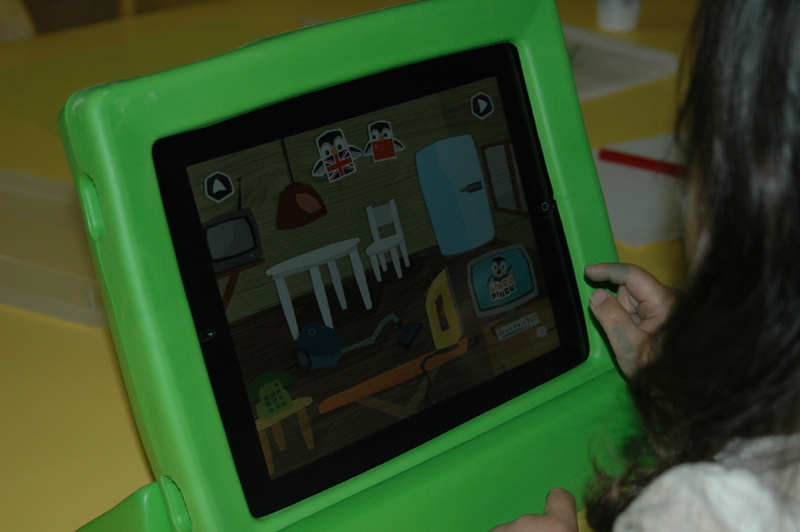 Our kids are very busy and just absorbing so much knowledge while they play. 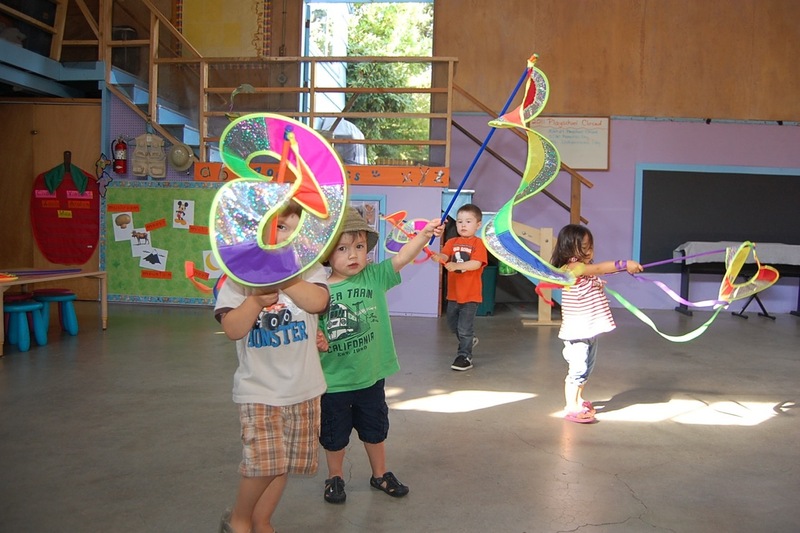 The children are celebrating Autumn Moon Festival at preschool this week! Yesterday began with Gloria telling the Chinese story about Chang er, the Moon Lady, and the Jade Rabbit. 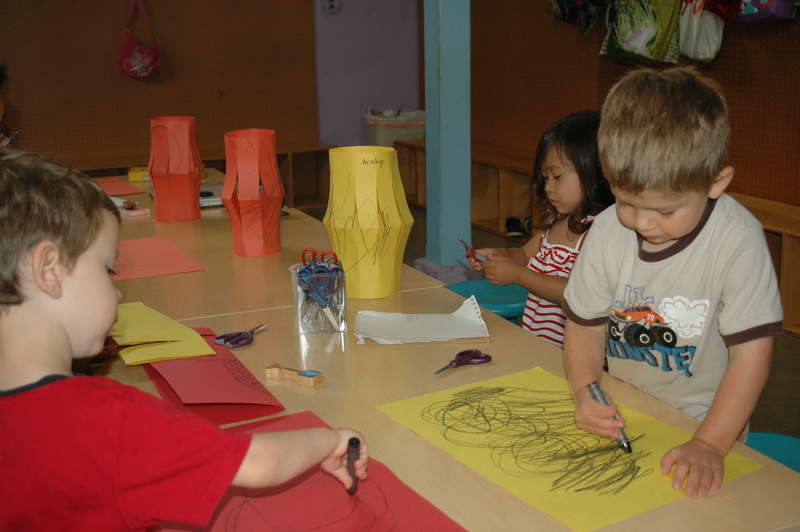 After circle time the kids made lanterns to hang in the gym and the toddler classrooms. 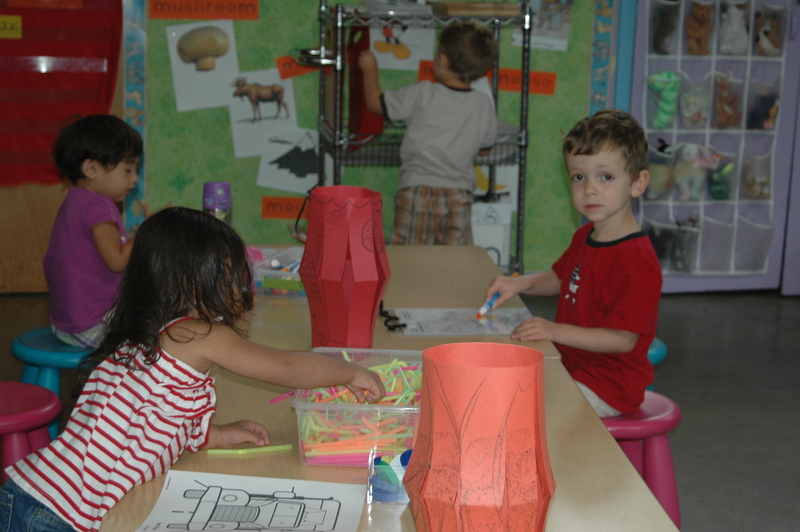 During free time the children chose from a variety of centers to work at including the language arts center. 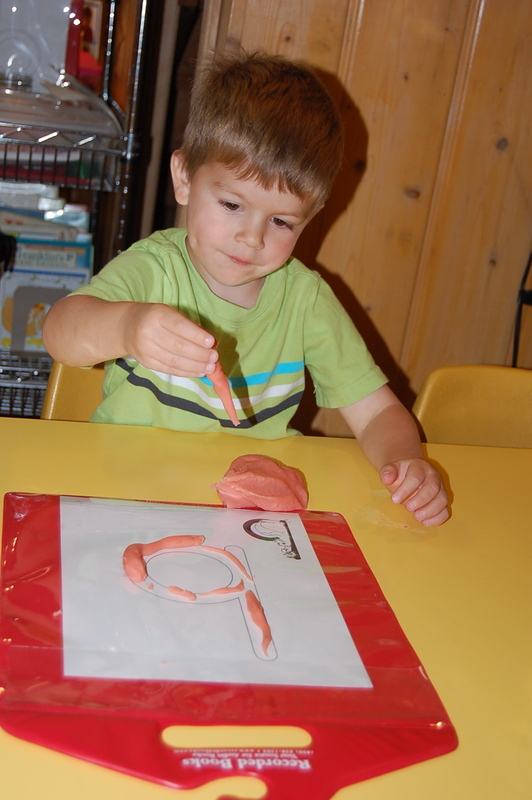 The language arts center offers six activities to promote language development. 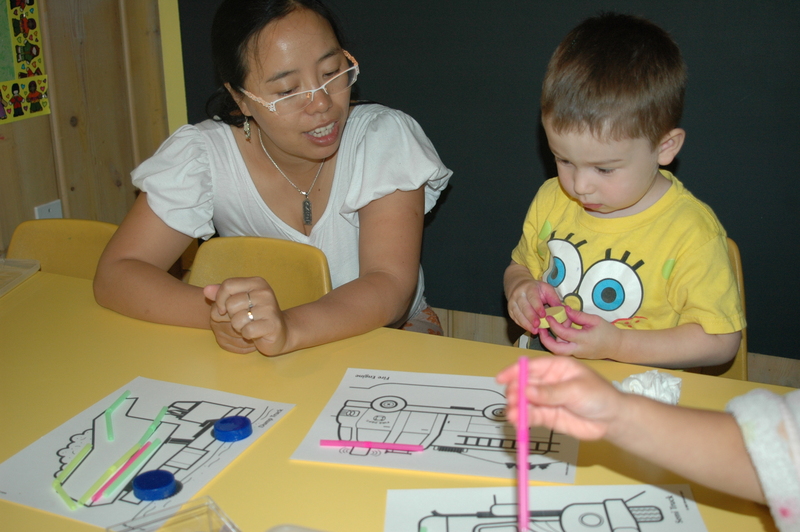 Today pictures depicting the Autumn Moon Festival were available for the children to color. 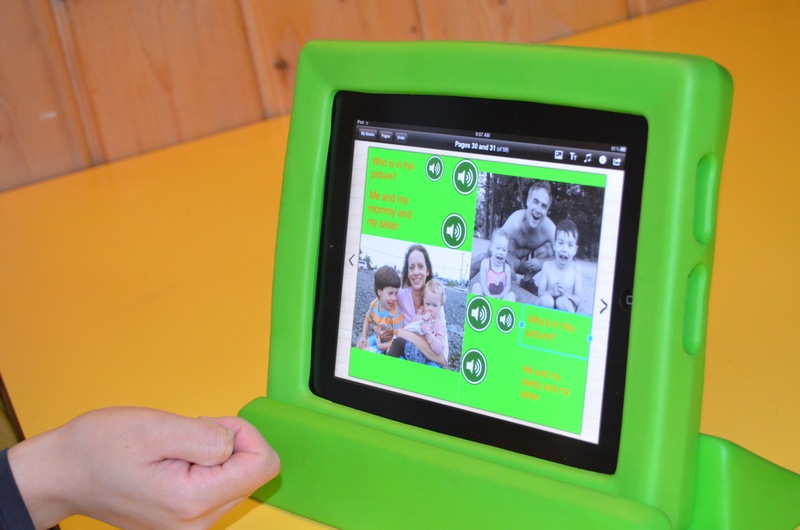 The pictures are inserted into plexiglass sign holders and then the children color them with washable Crayola window markers. Children colored pictures of the Moon Lady, the Jade Rabbit, and moon cakes. The children feasted on moon cakes at afternoon snack. 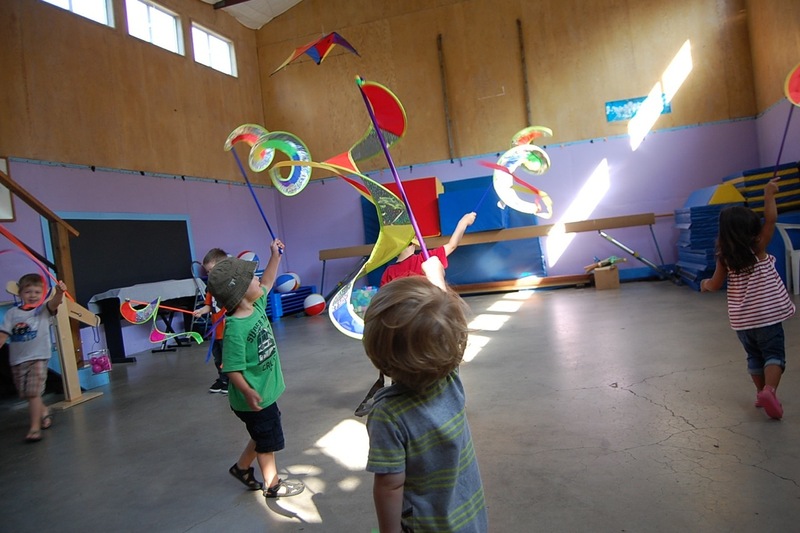 After snack they had a fabulous time dancing with kite spinners to music. 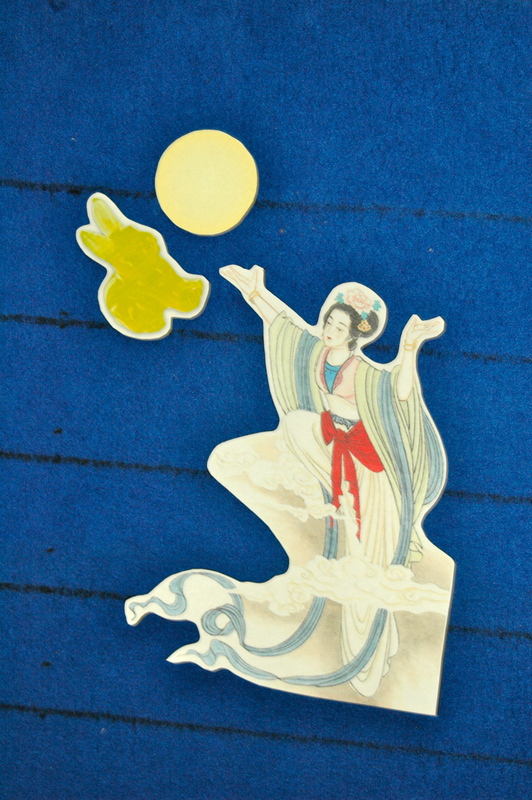 Be sure to take your kids outside to look at the moon and see if they can find the Moon Lady and the Jade Rabbit! 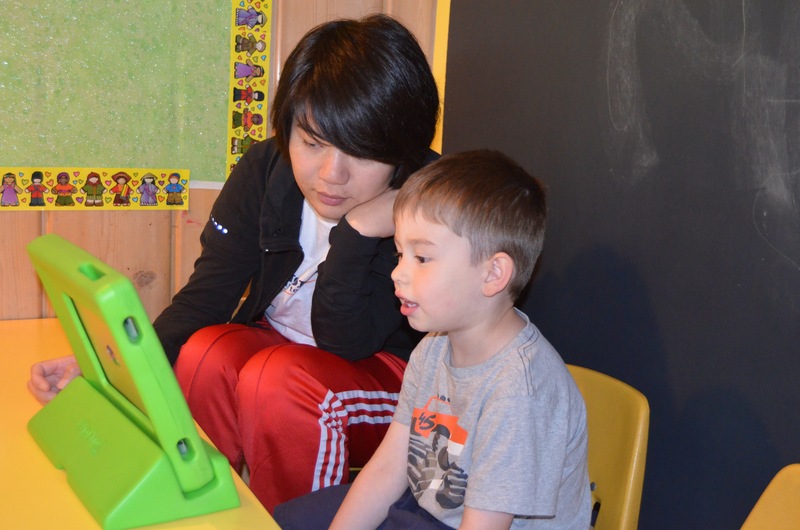 Yiwen, our temporary Chinese teacher, is going back to school, so Gloria has joined our staff permanently. Gloria is absolutely fabulous! I had the opportunity to work with her twice this week, and she is amazing. 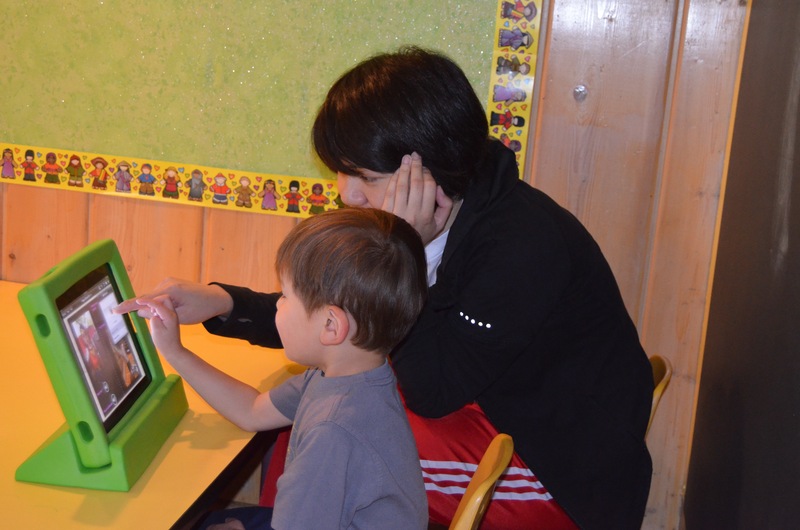 She is wonderful with the kids and interacts playfully with them keeping them engaged in her lessons. 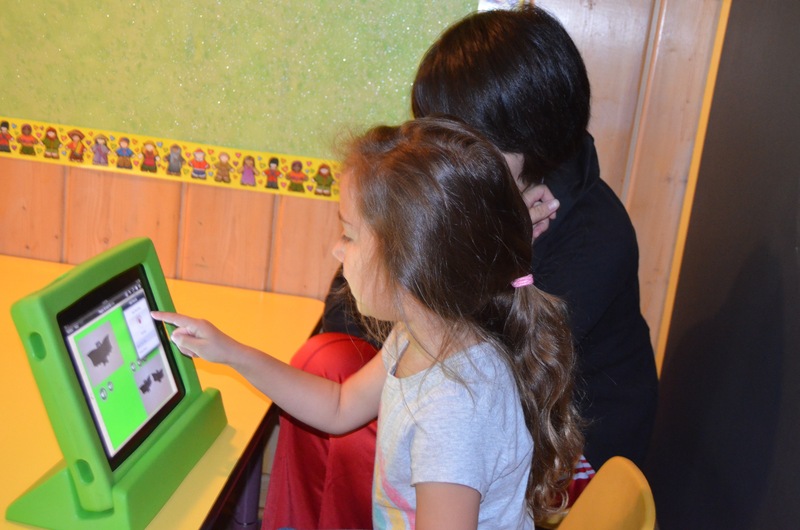 Our goal is to provide as close to an immersion environment as is possible for the children. 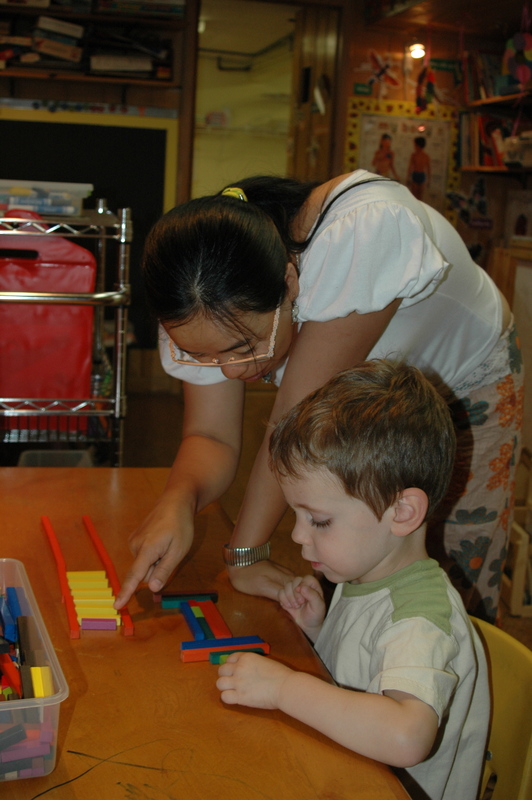 To make this goal attainable Gloria speaks primarily to the children in Chinese throughout their daily activities. After everyone arrives we begin our day with music circle time and sing both Chinese and English songs. 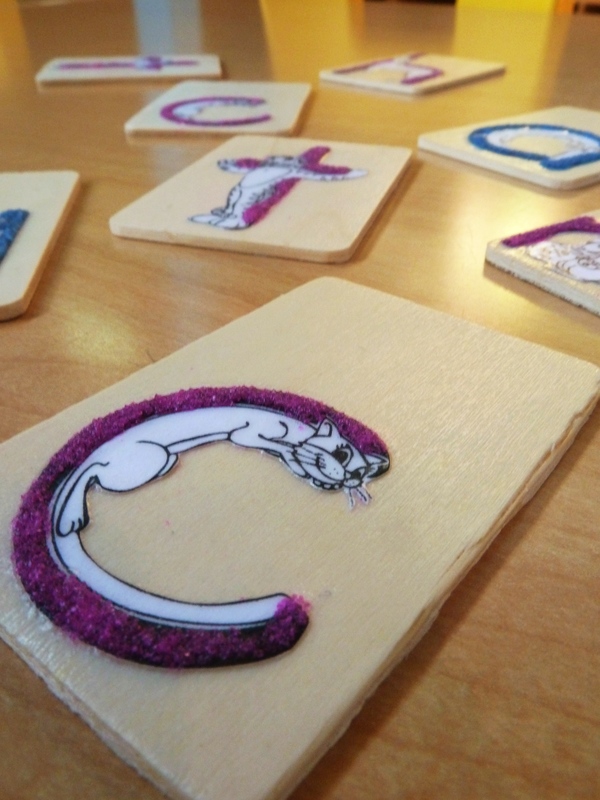 During circle time Gloria taught the children transportation vocabulary with flannelboard figures. 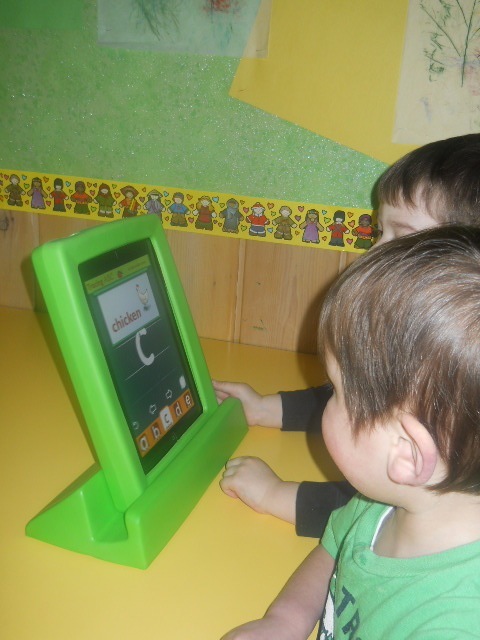 After circle time we showed the children all the centers in our classroom and the activities in each. 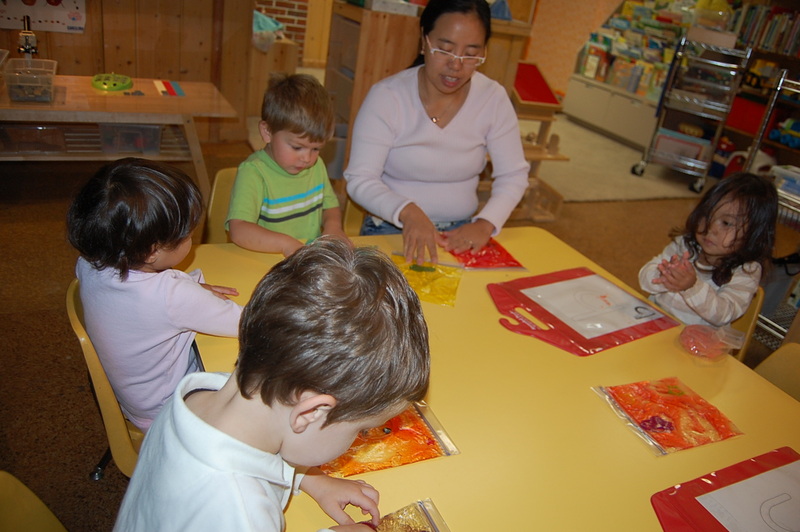 The children then chose the centers they wanted to work in. 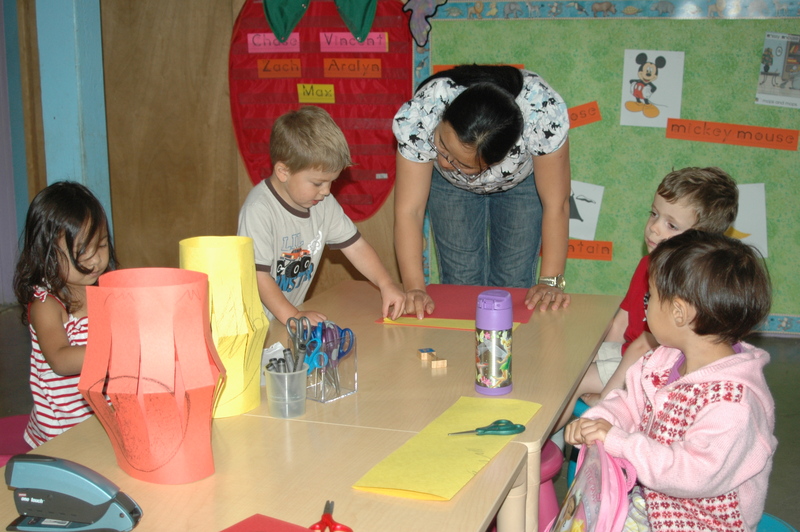 Gloria rotated through the centers working with each individual child reinforcing the concept being worked on as well as introducing Chinese vocabulary. 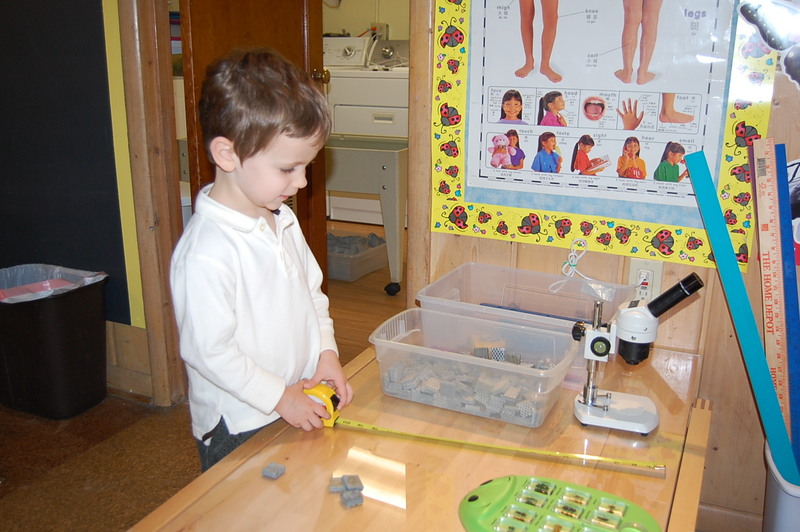 Today the children chose to work at the math, science, language arts, sensory, and art centers. 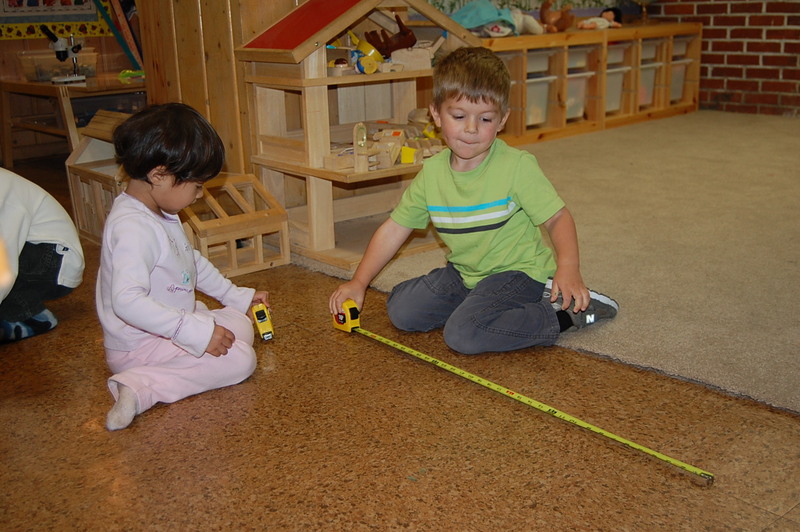 This week the children are learning about measurement. 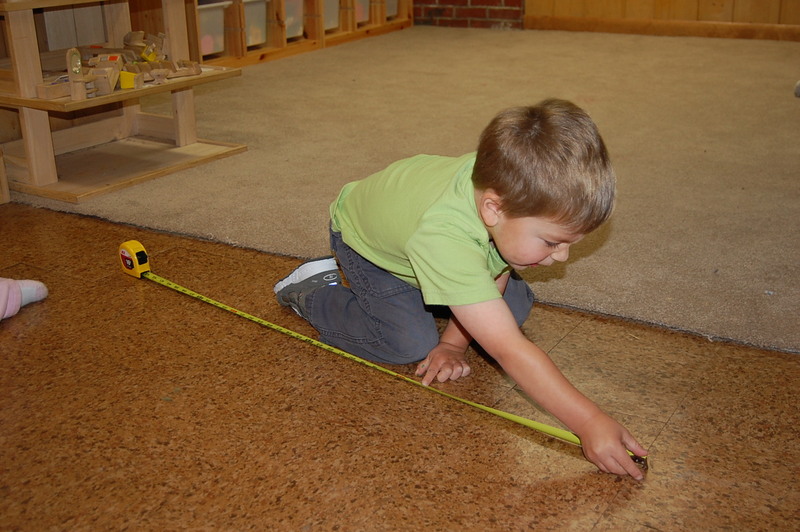 The children took out the yardsticks to measure the classroom carpet. They also wanted to explore with the rulers that are set out at the science table. 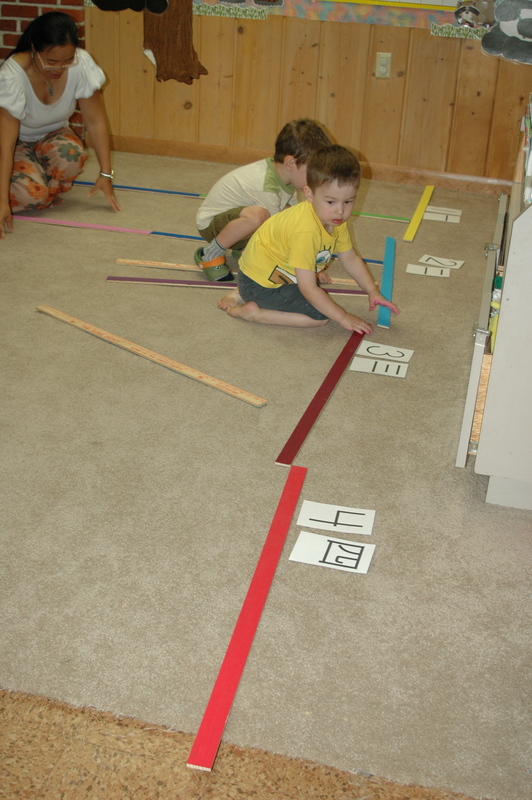 After laying out the yardsticks and rulers Gloria counted them with the children. 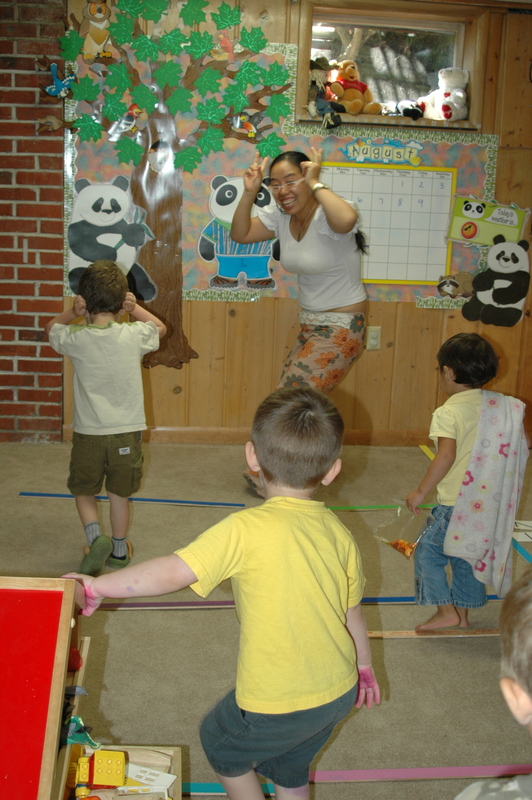 Next Gloria extended the activity by having the children jump across the yardsticks and pretend to be rabbits, kangaroos, and frogs. All of this was done in Chinese!